Place the hiziki in a small saucepan, add cold water to just cover the hiziki. Cover the pan and bring to a boil. Reduce the flame and simmer for 10 minutes. Pour into a strainer and rinse under cold water. 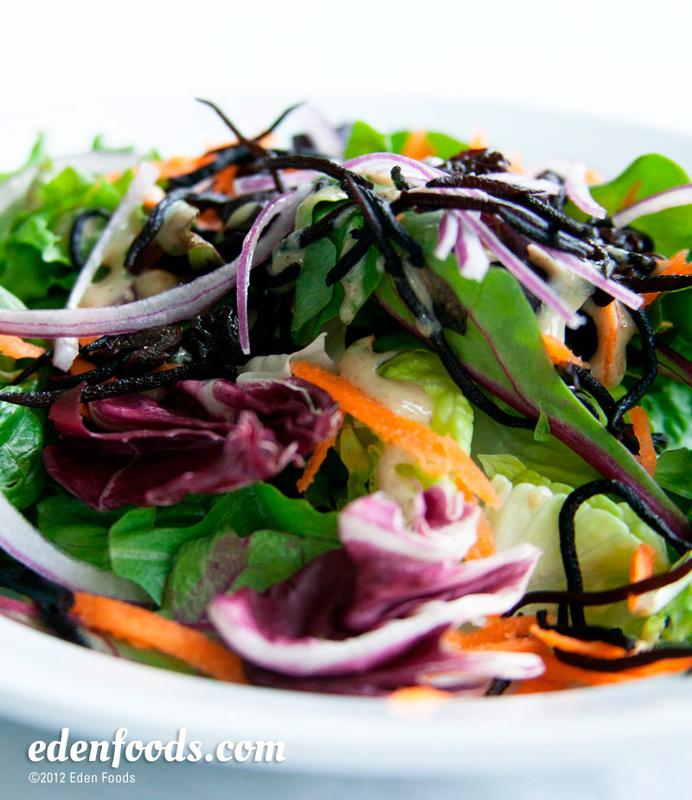 Place the hiziki in a salad bowl with the salad greens, tomato, carrot and avocado. Toss to mix. Prepare the dressing by placing all ingredients in a blender. Pulse several seconds to blend evenly. Place the dressing in a serving container. Pour over salad before serving.